Happiness is being surrounded by what you love…. the seashore, seashells, art, wildlife, sealife and of course friends and family. There are times when life gets tough when you lose one of them. Clark and I lost our pretty Smittie the kittie this week so our world has been tilted. We don’t have 2 legged children, our children are furry with four legs. She was part of our family and we loved our sweet girl beyond words. I’m sorry, I know this post isn’t about shelling but I introduced Smittie to you several years ago so I felt you might remember. Now you know why I haven’t been out on the beaches giving you up-to-date shelling info on the islands this week. But we will be back on the beaches this weekend to get back into our groove … and giving lots of love to our little fluff ball Dustie. Oh, poor little Smittie. I’m sorry, Pam. We have four legged furry children too, so I know how you’re feeling. Someday you’ll see her again at the Rainbow Bridge. Pam, I’ve loved your posts and I’m so sorry for the loss of your beloved Smittee. She looks like a real sweetheart. As a fellow cat lover and the owner of two beautiful gray boys, I know how it feels to lose a kitty that is as much a member of the family as any person. After you are through grieving, get Dustie a new friend. I volunteer at a shelter and they are filled with wonderful kitties who need homes. It won’t replace the kitty you lost, but it will honor her memory by saving another. Awe, Pam we are so sorry you lost your kittie, Smittie. We know how much you loved her. We all love our four legged friends, but they are never with us long enough. Thoughts and prayers for you and Clark. Oh, Pam, so sorry to hear about your kittie, Smittie. We also have furry, four-legged children so I totally understand. Hugs to you and your husband. Thoughts are with you and Clark. I am so sorry to hear of the loss of your furry family member. I understand how difficult this is. I am sure that Smittie felt loved. I wish that I could write something to make you feel better, but I know that only time will help ease that pain. I lost my fur-child after 19 years of constant companionship. I get it. It is a giant, gaping hole. Rest in peace, Smittie. So sorry to hear of your loss. I can’t imagine losing any of our four-legged kids!! Our thoughts are with you! I’m so sorry for your dear loss, Pam *big hug* My hubby & I also do not have 2-legged children but our pups are *just* like children to us. I fearfully dread when the day comes that I lose them. Seriously. Sometimes I sit & think about how much I love them & truthfully NEED them in my life — not just dogs, but THEM, then the realization comes that they will not be in my life forever & I go to a very dark place. I know I will need lots of hugs & support because I will not be in a good place when those days come. What is my point in telling you this….well, I guess it is to let you know that you & the Mr. are not alone in your pain & mourning. Your animal-loving fans mourn & shed tears with you. No words can heal your broken heart. But we all share your loss. They are Family. I’m so sorry for the loss of your Beautiful Smittie. My deepest sympathy on the loss of your sweet furbaby. They are a part of family. Take your time and I will be thinking of you. I’m so sorry for your loss, Pam. Pam, I’m SO sorry for your loss. I understand what you’re going through. Kitties and pups are truly family members and should be missed and mourned as such. My sincerest condolences to you and Clark. Losing one of our “children” is never easy, it’s heartbreaking. I’m glad you have Dustie to help ease your pain. Smittie is gone but surely not forgotten. Love to you both! Smittie will always have a special place in your heart! So sorry to hear about your loss. It’s never easy to lose a pet. I’ve had several cats myself. I’m sure when you’re ready you’ll get a companion for Dustie and yourselves. My heart aches with yours. My only children are four legged as well & I understand. Now you have a special angel. Extra hugs to Dustie. Pam, i’m so so sorry for your loss! I don’t know of anything that is as heartbreaking. You are right, they ARE our children. Glad you have Dustie to love on. Our thoughts are with you and Clark, and iur hearts understand. Oh Pam! I am sssoooo deeply saddened for you and Clark. I cried and cried when I read your post. Smittie was a beautiful kittie and I know that y’all loved her dearly. I have two, Tigger and Roo, precious boy kitties. I am single and have no children. They are my life! I will be devastated when they go to kittie heaven! I am glad that you are spending some time for yourself and to be with Dustie. Lots of love to you and Clark! I read your post every day. I feel like y’all are family! I am so sorry Pam. Dear sweet Smittie. I know what it is like to lose a loved fuzzie one. I hope you can bear to get a new cat soon. I had to wait about 6 months before I could bear to do that. Hugs. Oh my gosh, I am so sorry for your loss. I know what you are going through and my heart aches for you and Clark. Smittie was so beautiful and in the picture she looks as sweet as you say she was. I love Clark’s idea about rescuing a black and white fur ball tomorrow…it will help your hearts to start healing. Oh Pam , I am soooo very sorry for your loss ! I cried when I read your post ! I too have fur babies & I love them to death ! They say dogs are a mans best friend … not true for me ! My youngest fur baby ( her name is Meshell Maya Bel ) knows when I’m sad , she will come up on my desk and give me all kinds of love . I have even had her to wrap her paws around my arm and hug it ! Loosing a special part of your family is hard ! Thoughts & prayers being sent to you & Clark ! My heart aches for you and Clark. We too, are only parents to our kitties, and the bond with them is so deep, and it goes both ways. ((((((( )))))))’s to you both, and to Dustie, who might need a few extra treats for a while. I know how hard it is to lose one of your four-legged children. My heart hurts for you and Clark. Time heals wounds but nothing can erase the happy “furry” memories you hold. I also want to thank you for the wonderful recent shelling adventure on Sept. 12. You are such a blessing to be with. 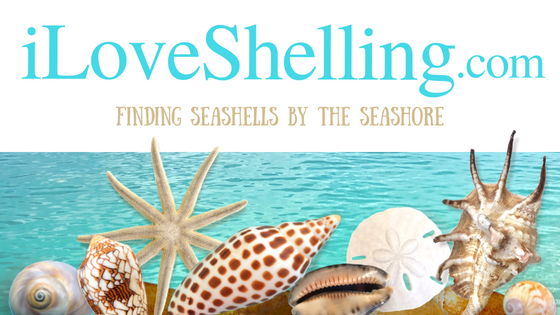 Thank you for sharing your expertise, joy, and love of shelling. It will long be a favorite memory of mine. So sorry for both of you..it really is painful. There is no replacing, but we did find happiness & much needed laughs when we quickly got our next rescue. And don’t forget, everybody needs a friend..even if the new member is annoying at first!! Oh Pam & Clark, I am so, so sorry for your loss! My hubby & I also do not have children. Our dogs are our babies! I cannot bear to think of losing them. They are family members. My grandma’s baby, sweet Holly (a Shitzu) came to live with us a few years ago when my grandma passed away & she is 14 in November. And our crazy, spoiled little Jack Russell Pomeranian, Bailey, turns 9 in Oct. They are our children! Hang in there & know us animal lovers are knowing how you feel & thinking of you! Hugs! Sorry for your loss. Our 4-legged friends are family and add joy to every aspect of life including shelling. I’m so sorry for your loss. It’s so hard to lose our beloved pets, isn’t it? Big hugs Pam. Ken and I are so sorry about Smittie. Cat’s are such wonderful pets, hard to understand unless you have one, and it’s heartbreaking to lose them. Go to the beach, no need to post, just go and breathe in the air, the smells and everything that nature has to offer. It’s the best place on earth to heal. So sorry for your loss. Hold on to all those good memories of your Smittie. So sorry guys to hear about kittie smittie! What a sweetie!! Always love seeing your “children”! Oh Pam! I did not expect this when I clicked on the title. My kids are furry too. I haven’t crossed this bridge yet. I am so sorry for you and Clark. I know how much your little bandit meant to you. I remember a year or two ago when she had that special treatment. I don’t recall exactly what it was, I just remember the title of the post had me thinking ” how can a cat be on the radio?” Silly me. Oh how these fur balls steal our hearts! Our first two kitties were Katie and Hubbell (from The Way We Were). When we lost them I thought we could never have another. Then two wild kitties were huddled on our doorstep one Thanksgiving and bolted in the front door. We named them Hansel and Gretel as they are brother and sister and were lost in the woods! It took patience to tame them, but they now live a life of pampered leisure and bring us joy daily. Like little Zen masters, they wisely teach me to slow down and breathe deeply. Smittie was lucky to have you and will live on in your heart. So sorry for your loss. I’m so sorry about your sweet Smittie :-(. When my kittie companion of 20 years passed on recently, my heart ached beyond belief. A dear friend explained that the unconditional love of our precious kitties can carve a very deep place in our hearts. That’why it hurts so much when we lose them. Yet, this place created by our beloved kitties makes room for us to someday take in another kittie in need of a home. These words are helping my broken heart heal and I hope these words are a little comfort to you too. Peace and blessings to you and Clark. Smittie was one lucky kittie to have you guys as parents. I know what it’s like to lose a furry baby, as we only have the four legged kind of children too. Find solace in your memories and your beautiful sea life. So very sorry for your loss Pam & Clark…we have kitties too as our “children” and understand how devastating it is to loose one. Our thoughts are with you both. My children have always been furry too. I lost my Yum Yum two years ago and was devastated. I still miss him so much but at least I have my Tiger Lily to hug, pet and play with. Just love your Dustie all the more. She’ll miss Smittie too! So sorry to hear about the loss of your Smittie. She looks like she was a real sweetheart. Although we do have “real” children, our cat, Smokey, is the only one left at home. He is going on 14 now and know that soon we will lose him, too. I agree with Marti, I like to honor my deceased pets by rescuing another. I went overboard last year when my beloved 17 year old Rudy cat died and I rescued three! The more the merrier. Sorry for the loss of Smittee Pam, pets are family. So very sorry to hear of your Smittie’s passing. My hubby and I are the lucky humans for 2 very wonderful brother/sister kitties as well. My heart goes out to you as you reminisce on all the wonderful lizard hunts, belly rubs and fur balls your Smittie provided throughout the years. Sending hugs your way. So sorry for your loss. Keep the good memories. Losing a loved one is so difficult but they remain in your heart and in your mind. Pam, I am so sorry for your loss. You and Clark are in my thoughts and prayers. Smittie is now a precious little kitty angle that will continue to watch over you. May God bring you comfort in your time of loss. Pam and Clark, I’m so sorry for your loss. Take care. So sorry for your loss…they are family after all! In my heaven there are beaches, shells, and all my favorite two-legged and four-legged friends and family. We love our critters and they give us so much in return. My heart hurts with you. So sorry, Pam. Kitties can make the best company, and are clearly just as much family as any person is. So sorry for your loss. We lost our 2nd kitty last November and I was totally devastated. Our two new ones don’t replace the lost ones, but they are such wonderful diversion from the grieving. Prayers for you and Clark. So sorry for your loss of a dear loved one. I lost a dear furry one who looked a lot like Smiithie. I still miss him;. Very sorry for your loss. Also, for the loss and sympathy of so many kind people on this wonderful site. “Shell People” and “Animal People” are the best! We just wanted to send our thoughts and prayers.. and hugs. We are actually in Sanibel this week and hope we happen to run into you! Hopefully some good shelling and so many awesome friends will help ease things a bit. Thinking of you! Sorry for your loss… our little furry friends leave a big hole in our hearts when they leave this world. Pam, I am so so sorry to read about you losing your precious furbaby! Breaks my heart; they are definitely part of our family and you have to take time to grieve! My heart goes out to you and your hubby! So very sorry for your loss…I feel your pain and sympathize very much. Our fur babies are our “children”. Thinking of you ….. So sorry to hear about Smittie. They really are part of the family. Your notes have been so thoughtful and heart warming – it takes my breath away. Our lives are so connected by our loves. Our love for shelling and our love for our families whether they are furry, fleshy, feathery, 2 legs, 4 legs or 3 legs (my sister has a habit of taking in 3 legged furries (“Peg”, “Tri”, and now “Roo”)). Just like Elna said ““Shell People” and “Animal People” are the best!” Yes they are! Clark and I are so fortunate to have had her (and you!) in our lives and can now smile about all of the years of joy she brought us. Dustie (we also call her “Dust Ball”) is now back to her every day habits and thrilled with the extra attention! Again y’all, thank you for such warming heart felt support! So now its time to hit the beach! I was so sad to hear that you lost your beloved Smittie. That just breaks my heart! She was such a beautiful kitty, too, and so striking with the top of her head being black and the bottom being white. We, like you, are pet parents with no two-legged children, so our four-legged children mean everything to us. We lost our black kitty, Inky, in May, so I can relate to the pain of losing a sweet little cat. I pray that your happy memories and the companionship of Dustie will bring you comfort at this difficult time. I am a huge fan of your blog and want to thank you for all of the joy your blog has brought me. I check it a couple of times a day and am reading through all of the archives. I enjoy learning about shells and ocean life, and it’s nice to feel connected to the beach when I can’t be there. I am looking forward to meeting you on a Cayo Costa cruise in December if not before then. Again, I am so sorry for your loss. Just know I am thinking of you and saying a little prayer for you. I am so sorry for the loss of your beloved Smittie. We are also a couple with furry, 4-legged kids (cats), and they mean the world to us. We’ve also been through the loss and can understand the pain. We lost our first at age 14 from kidney failure and were heartbroken and “numb” for weeks. Our house just felt so lonely and I swore to my husband I could never have another pet because the loss and hurt were just too much. Eight months later, when a dear friend’s cat had a litter of three boys, all needing homes, we took all three. We were going to take two, but I just couldn’t imagine taking two and leaving one behind. We lost one of them, our little Pudgie, at 6 months old while under anesthesia being neutered. We know there is always a risk, and it’s rare, but it happened. Our vet was devastated. We don’t blame anyone and for some, unknown to us, reason, it was meant to be. Your Smittie looked so much like him and when I saw the picture this morning on your blog, I thought “oh, how cute, looks almost just like our Pudgie”, but was very saddened when I read further and saw that you lost him. We only had Pudgie for almost four months, but love and miss him just as much as our first. We still have his two brothers (one all black named Jack and the other a tabby named Skate), both now 4 1/2, and each day we have them is such a blessing because life can change in an instant. Yes, we have kids, only they have four legs instead of two and are covered in fur, but they are our babies. Sending prayers to you both and to Dustie. Sorry Pam, I meant her instead of “him”. sorry to hear about your kitty , we lost our Chesapeake bay retriever , she was 14 years old , that was what prompted us to go to Sanibel for the first time . we couldn’t stand the house without her that was back in 2008. we also have a 4 pound little girl named hope that looks very similar to yours…A rescued kitten 10 years ago off a busy interstate ramp,unless we leave her with our son she won’t eat for the weeks we are in sanibel….the losses of our animal best friends is so tough. I cried right along with you, the loss hurts and I am so sorry. Marisa and I are very sorry to hear about Smittie. We have a cat of our own and cannot imagine losing him. All our best to you and Clark. looks like he had a wonderful life with you both. He will always be with you in your heart. We too have four legged kids and they mean the world to us so I know how you feel. Pam & Clark – I am so sorry to hear about your loss of Smittie. I’m sure she had a great life with you two and her furry friend Dustie. We love our four legged furry friends and know how hard it is when you lose one. I just pulled up the blog and saw this post. I’m so very sorry for your loss. My husband and I also have 4-legged children. Lost a cat about 9 years ago and it was the hardest thing I had done in my adult life. Took about 9 months to find new children. Now have 2 kids! Thinking about you. Aawww… Pam and Clark. Sorry too that your kitty has passed on. Our house is filled with the pitter patter of 4-legged furry kids and will always be a revolving door of rescues. I lost my 14 year old mini doxie last year and I still miss her funny little ways. We got a new rescue about 3 months before Eddy passed and I saw that as Karma’s way of helping my transition … since Eddy was my first puppy to parent from 7 weeks of age till death. Frequently missed but never forgotten. So keep on helping other kitties have a home … it’s such a selfless and rewarding thing to do. Pam and Clark, So sorry for the loss of your Dear Smittie. Caring thoughts are with each of you as you make your way through this new phase of your lives. It’s refreshing to read you are discovering blessings to lighten your hearts along the way. With appreciation for your love of animals and naturally, shelling! dear pam and clark, we have been out of town and i have not been following my email. saw your post today and was very sad to see your news about Smittie. my heart goes out to you both. we also have only four legged children, all rescues. it is difficult when they pass away. who would think a small ball of fur would make such an impact on your day to day life. i just wanted to tell you that we have made a donation in Smittie’s memory to our local animal rescue group, Animal Aide”, here in Tulsa to “shellabrate” his life. Awwww Kathy, you are sweet to make a donation in Smittie’s memory. Clark and I thank you so much for such a thoughtful gesture. Yes, those little fur balls steal our hearts!